What does the move of the U.S. embassy to Jerusalem mean to the Middle East and globally? Find out more with CLP’s Current Event. What does Jerusalem mean to Israel? To the Palestinians? What does the US Embassy move to Jerusalem mean? Why is the recognition of Jerusalem as the capital of Israel controversial? What does the proposed moving date to coincide with the 70th anniversary of the state of Israel mean? What is an embassy? What does the location of an embassy mean? What does President Trump’s comment “Jerusalem is off the table” mean? Is recognition of Jerusalem a block to the peace process or the recognition of history? Or both? What are the reasons to acknowledge Jerusalem as the capital of Israel? What are the reasons to delay establishing a US Embassy in Jerusalem? Is recognition of Jerusalem a part of a larger struggle for influence in the Middle East? Future of Gaza and the West Bank? Egypt-Israel relationship? Competition between Iran and Saudi Arabia for influence? Threat of war in the region? 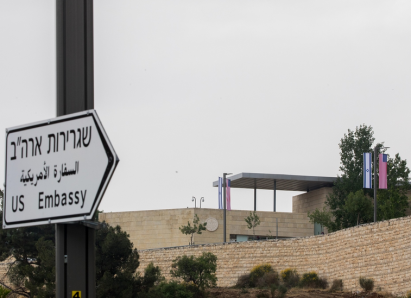 Is the embassy move a “partisan” issue in the United States? What is the progress of the peace process between Israel and Palestine? Do unemployment in Gaza and little recognition from the Arab world create a population that is desperate for help? 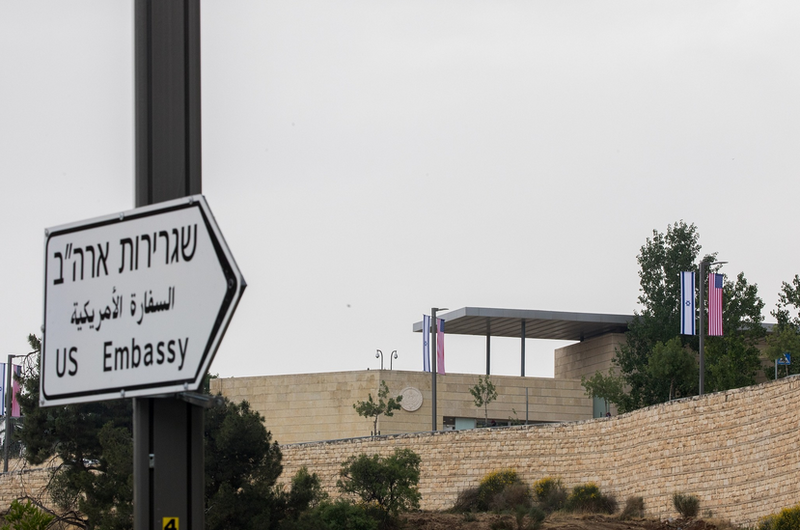 Is there a connection between the opening of the American Embassy in Jerusalem and a path to peace in the Middle East? Do the dignitaries at the opening ceremony have a special responsibility to calm the situation? What is bigotry? Why is President Trump’s recognition of Jerusalem as Israel’s capital such a significant move in the history of American foreign policy? According to Mr. Trump, why did he decide to formally recognize Jerusalem as Israel’s capital? What evidence did he provide to support his decision? How have Arab and European leaders, China and Pope Francis reacted to Mr. Trump’s announcement? How do they believe it will affect the Middle East? How does Europe think the status of Jerusalem should be resolved? Who has been conducting peace talks between Israel and Palestine on behalf of the United States? How is this approach different from past administrations? How have these talks progressed so far? What contributes to Jerusalem’s status as “one of the world’s most fiercely contested swaths of real estate”? How do Middle East experts think the United States’ recognition of Jerusalem will influence negotiations between Israelis and Palestinians? What do you think about Mr. Trump’s decision? Does it have the potential to advance decades-long negotiations, as his administration says? Or, as Middle East experts and other world leaders claim, will it jeopardize peace in the Middle East? Will it change anything at all? An embassy is the headquarters for U.S. Government representatives serving in a foreign country. It is normally led by an ambassador, who is the U.S. President’s representative to the host country. An embassy is normally located in the capital city. It may have branches, known as consulates, in other cities. CLP: Debate over relevance of and necessity for embassies in today’s world. CLP: Middle & high school; older resource so be sure to preview movie and materials! HS.27. Examine functions and process of United States government. HS.31. Describe Untied States foreign policy and evaluate its impact on the United States and other countries.